ELLE has been at the top of our forum’s radar ever since Nina Garcia landed at the Hearst-owned title early last year, and in 2019 alone, Garcia has already managed to secure such notable cover stars as Jennifer Aniston, Ashley Graham, Gigi Hadid and Taylor Swift. Impressive, right? 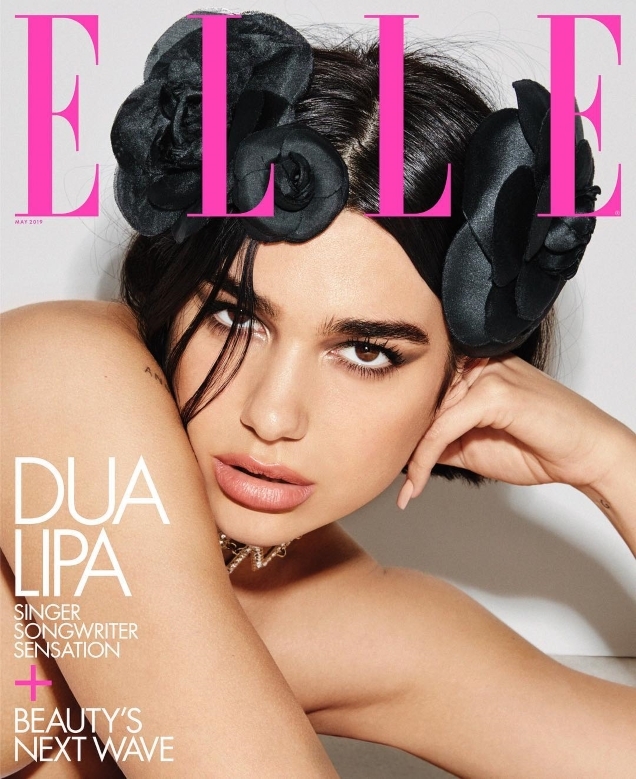 Continuing to give the likes of Vogue a run for its money, ELLE‘s latest features Dua Lipa on two covers photographed by Carin Backoff and styled by Anna Trevelyan. The 23-year-old hitmaker reclines across the studio floor in both cover images, decked out in looks from Chanel’s Haute Couture Spring 2019 collection (subtly paying tribute to Karl Lagerfeld). According to tFS forum members, the team behind the shoot missed the mark with this one. “I love Dua but not this cover, I really don’t like that thing on her head.. I don’t think it fits with her style,” said apple the second the covers struck. “Dua kinda represents that idea of fun! The idea of a couture swimsuit is fun but this cover is not fun at all. A fail,” Lola701 said. “It had all the makings for a stellar cover on paper – Carin Backoff, Due Lipa, who we all know is very photogenic, so I’m not sure how they’ve mucked this up. And can we stop with this Chanel swimsuit? It’s very difficult to get right due to the kitschiness. That headpiece is too much,” added Benn98. “Dua photographs well, sad that Nina wasn’t able to produce that! Terrible styling. Terrible execution. What an utter waste,” MON wrote. “She always has such a fun and stylish vibe, and they definitely didn’t catch that. I got excited too, when I saw her name, but it’s really nothing special,” sighed Anna147. Check out some previews of Dua’s accompanying cover shoot and join the conversation here.